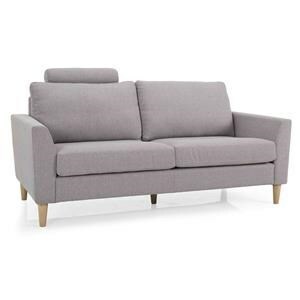 Relax after a long day in this sofa. 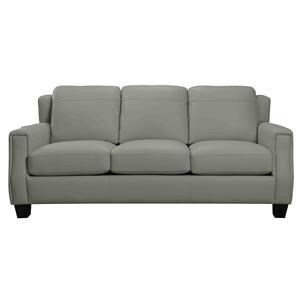 Made with waterfall seat cushions, tufted T-Back cushions, and padded pillow arms, this piece will hug you with comfort. This sofa has simple and short wood block feet below the straight base. Finished with a dark brown fabric and contrast stitching, this sofa is warm and welcoming. 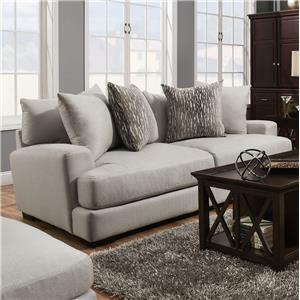 For a relaxing and stylish lounging space, look no further than this sofa. The 7840 Sofa with Tufted Back and Pillow Arms by Violino at Bennett's Furniture and Mattresses in the Peterborough, Campbellford, Durham, Lindsay, Haliburton, Bancroft, and Kawartha Lakes area. Product availability may vary. Contact us for the most current availability on this product.